The optimization of user experiences is getting more and more important for e-merchants. Visitor numbers continue to increase, and users’ needs are ever changing. It’s about time you differentiate yourself from competitors! This guide was made for all marketers who want to optimize their users’ digital journey. 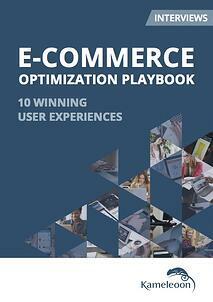 It’s based on expert testimonies and explains how to apprehend optimization in line with your business goals. IKKS, Claudie Pierlot, Lacoste, Auchan, Meetic, Fnac, Club Med, Allopneus, Belambra and Ooreka all designed winning strategies of user experience optimization. In this guide, they share their experience and know-how.